Not a lot going on this week. We had a change in plans on Monday and had to move locations in the middle of the day in search of a better Internet signal. 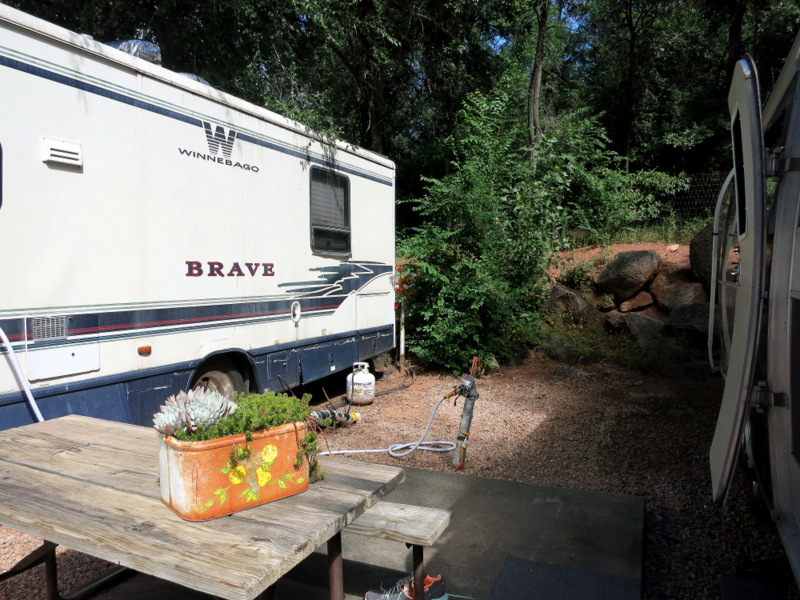 Since then we’ve been at a small RV Park on the outskirts of Colorado Springs. I don’t have anything too fun or exciting to share with you from the week. 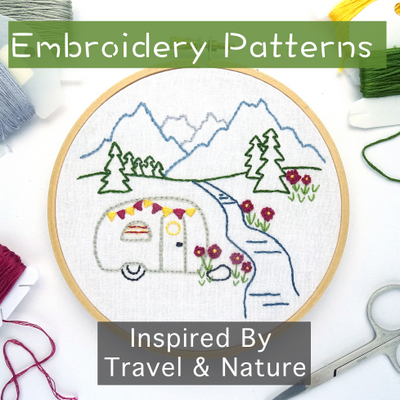 But in the interest of keeping this a true travelogue style blog, and not just a “look at all the cool stuff we did” kind of place, I am going to give you some updates on what has, and hasn’t, happened this week. We tried to stay in Salida this week. 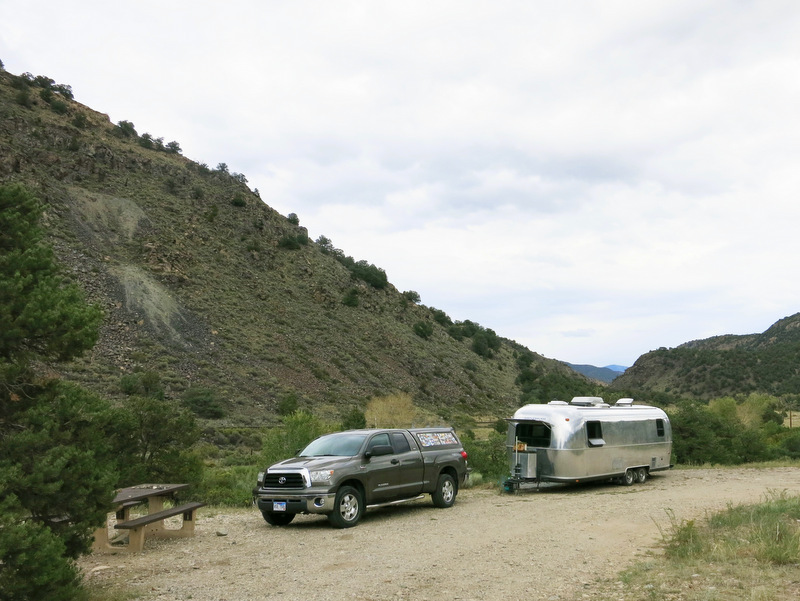 On Sunday we left Telluride, and after a long day of travel along with a bunch of errands we arrived at the Bighorn BLM area. This is a free camping area a few miles south of town along the Arkansas River. We stayed here last year at the beginning of July and had a mixed experience. Mostly because it was crazy hot, but also because Salida is not nearly as scenic as many other places in Colorado. It was free though, and has a cute historic downtown, so we decided to give it another try. Any free camping area only a few miles from a town is bound to be busy, but somehow we managed to score a really nice river side spot. Too bad we couldn’t stay. After getting level (requiring a stack of blocks and a bit of digging under the tires on the high side) we went inside and discovered that the Internet situation was complete crap. We managed to connect to a bit of Verizon 4G, and while the speed varied from slow to average, it wouldn’t stay consistently connected. We tried to make it work, but Tim needs to be connected at all the times during the work day. When the internet goes down 10 times in an hour that just doesn’t work, and when it cuts out several times during the middle of his daily video conference, that really doesn’t work. After struggling through most of the day on Monday, we packed it up and headed out for a more Internet friendly area. It was our plan to head over to Colorado Springs the following week, so it only seemed logical to simply go there a week early. 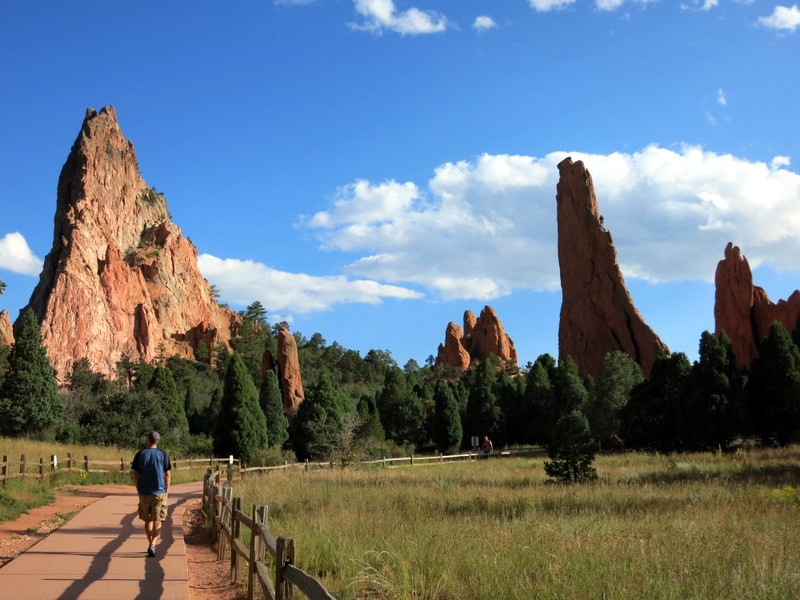 We heard good things about Cheyenne Mountain State Park, but apparently everyone else had too because we couldn’t get a site for more than one night. 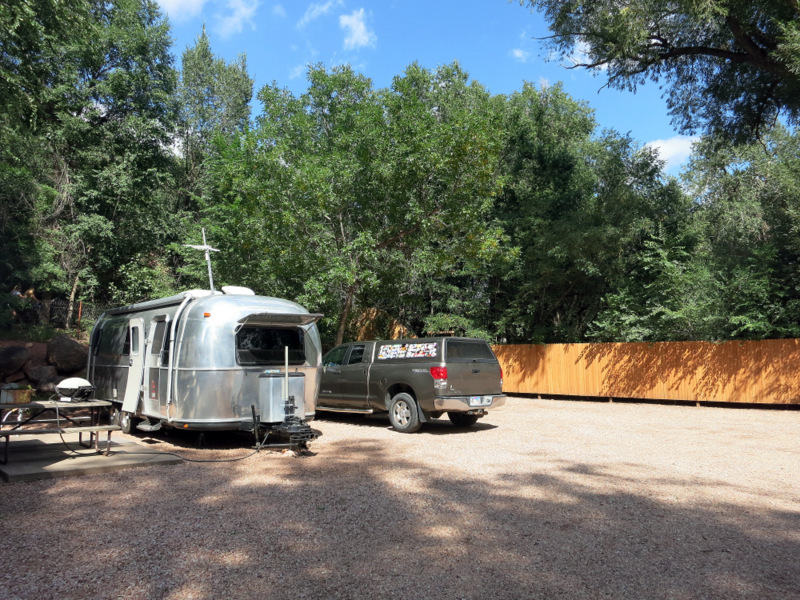 Instead we ended up at the Pike’s Peak RV Park in Manitou Springs. 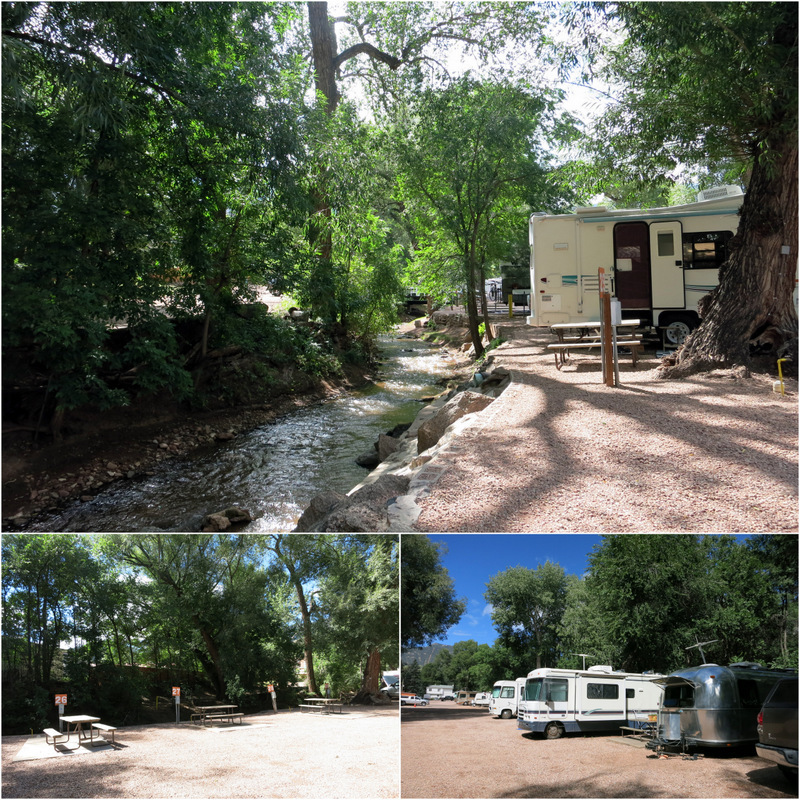 This small, privately owned park is located a convenient 15 minute walk from the cute, if a bit touristy, downtown Manitou Springs. The park is basic but tidy looking with small gravel sites, concrete patios, and a really nice, clean laundry room. On one side is a river, and the other is a bike path. There are lots of mature trees around the perimeter of the park which lends to a private feel, while helping drown out some of the road noise. Our site has some good and some bad. The good is that we’re on the very edge of the park with no neighbor on one side. Behind the fence is a city park and bike path. No one drives past our site, and it’s pretty quiet over here. That bad is that our neighbor on the other side is very, very close. Also not so pretty to look at. I’m trying not to make assumptions about this RV that looks like it hasn’t moved in several years. I’m trying not to wonder why all the windows are covered with foil, the roof is covered with mold, and the air conditioner has been running non-stop since we arrived (it was 35 degrees last night). But since this lovely specimen dominates the view out our front door this week, I can’t help but wonder what the deal is. There are no other RVs in the park that look like this, and no others that appear to have been here for awhile. Who knows. In any case, we haven’t sat outside much this week. 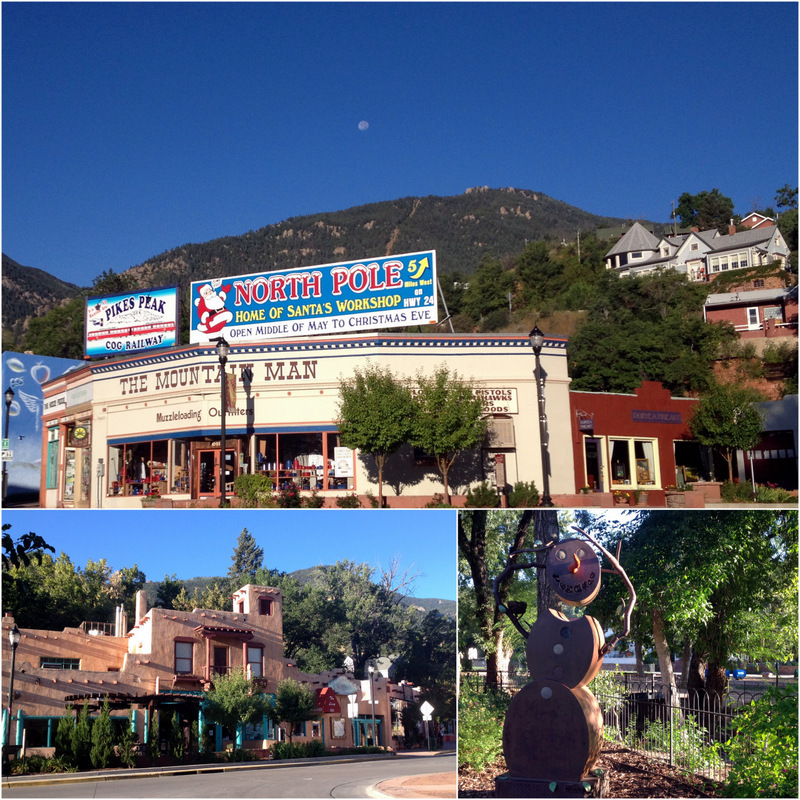 Downtown Manitou Springs seems like it could be an interesting place to explore, but for whatever reason we’re just not into it this week. I took a few pictures while out on an early morning walk one day. 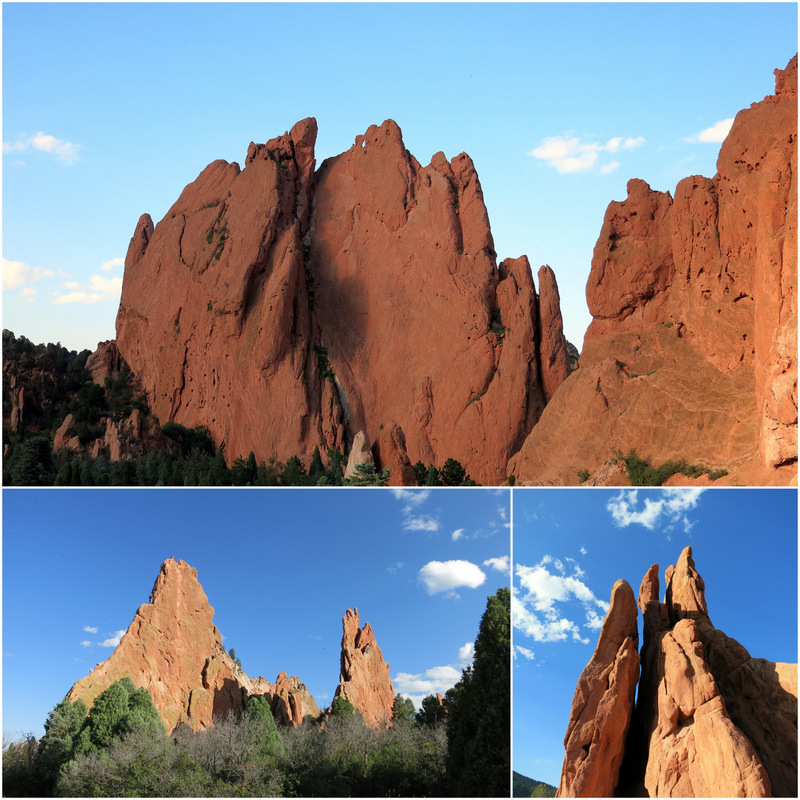 One of the reasons why we decided to come over here was to see the Garden of the Gods. This national historic landmark can be found on all sorts of top ten attractions lists. Well I think we might be completely spoiled by the all the cool stuff we’ve seen over the last two years, because the Garden of the Gods didn’t blow us away like we expected. Don’t get me wrong, it’s really cool that these random red rocks are jutting out of the ground, but not quite as cool as what you will see in Arches, Zion, or pretty much anywhere else in Utah. We did a quick drive through on Wednesday afternoon, stopping for a small hike (walk) through the middle of the rocks. Watch out for those rocks! And we did. I still think that first guy was onto something though. A garden fit for Gods or Beer? You decide. This is a popular spot for rock climbing area. 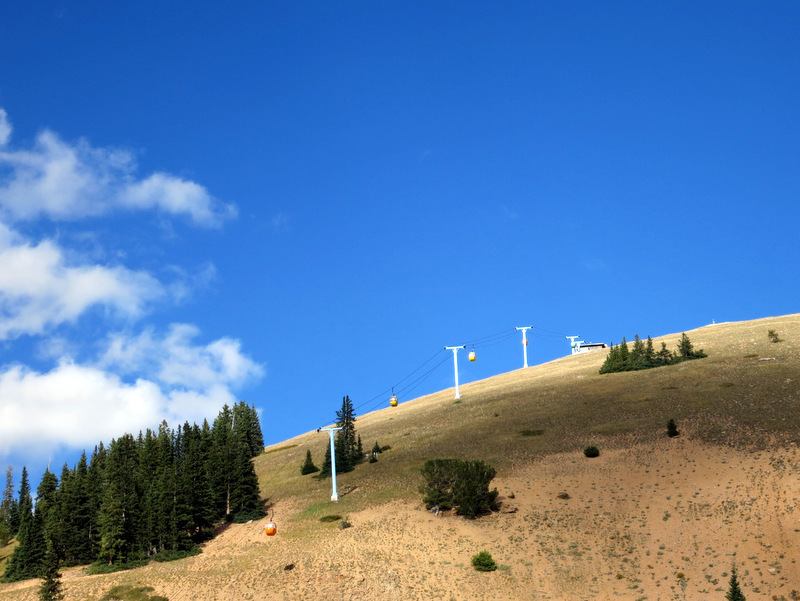 We spotted a few brave souls way up high. That’s all I’ve got for now. We plan to undertake some sort of adventure tomorrow, although we haven’t yet decided what that will be. Then on Sunday we’re heading to a place that I’ve long wanted to visit. A place where I can dip my toes in the sand, gaze at the mountains, and…oh wait, I wasn’t going to tell you yet. You’ll just have to wait until next week to find out. Happy weekend everyone! 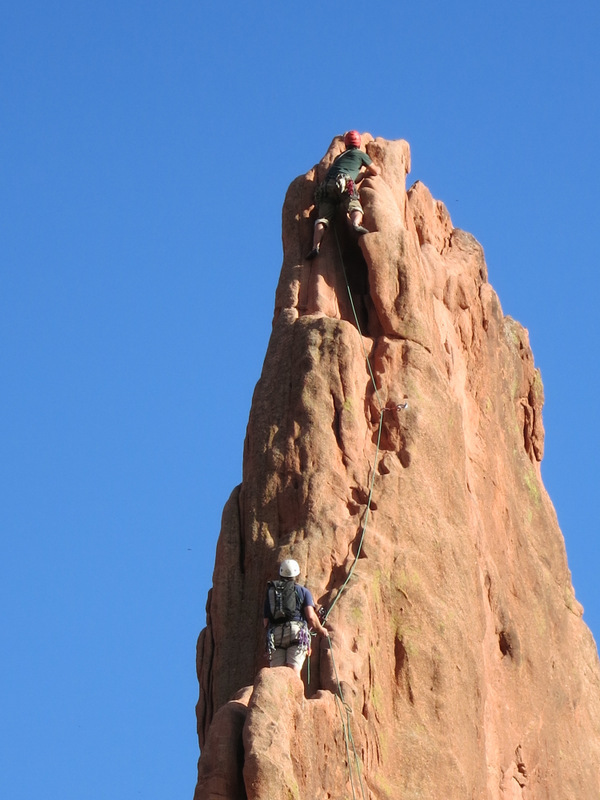 Those rock climbers fascinate me…I can’t imagine doing it myself but, wow, are they seemingly fearless! 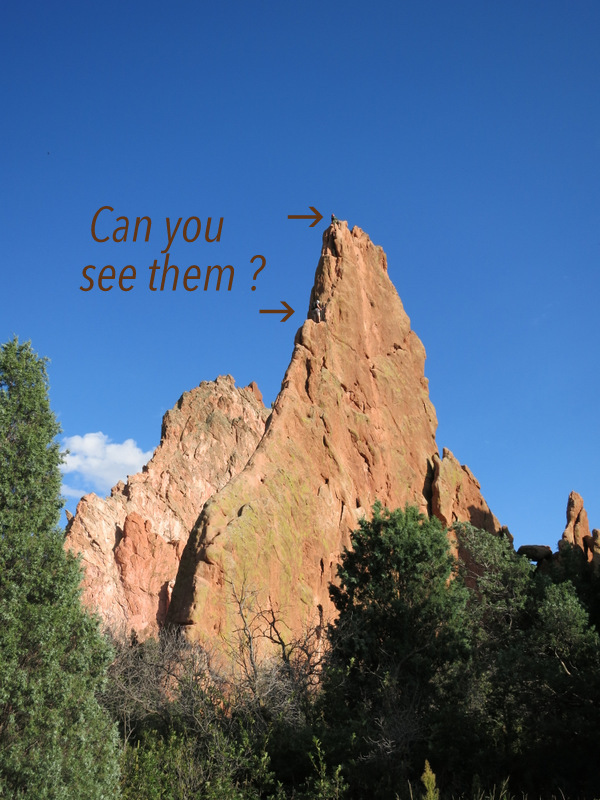 Glad to hear that you felt the same about the Garden of the Gods. 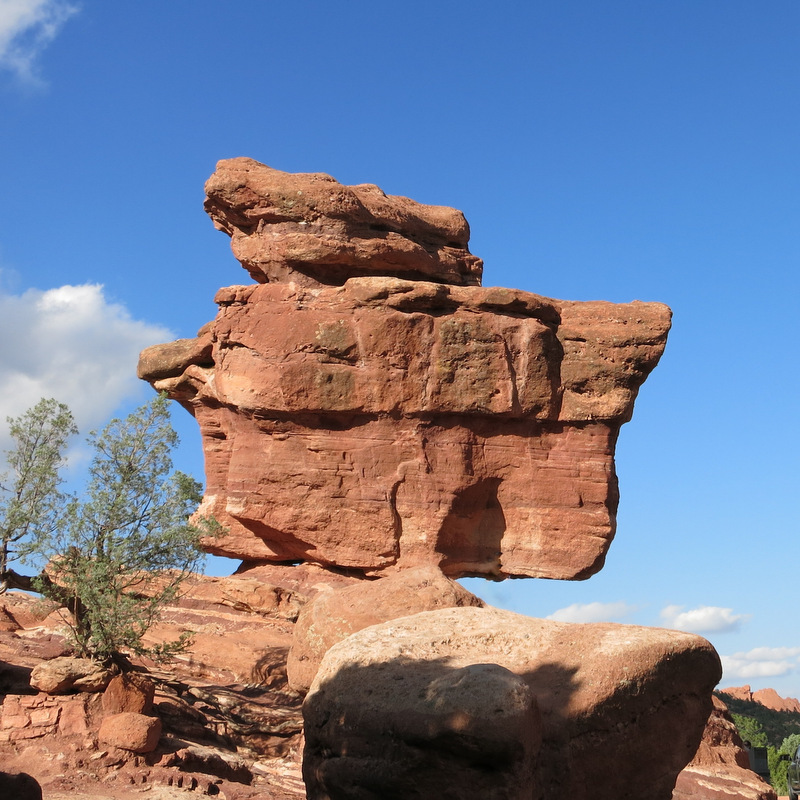 If you want to see some really impressive rocks, go to Utah! Yes, the incline is currently closed for repairs. I think we we might have been secretly more relieved than disappointed. You must have gotten lucky with the Cheyenne Mountain park. I couldn’t believe that it booked even this time of year. Is that a true story about the beer garden??? Pretty funny. True story. I read it on a sign in the park.